United Sign: Take a Tour of United Construction! Take a Tour of United Construction! If you recall, we showed you ways to maximize your space with a video about "United Gas". A fictitious gas station where we pointed out a few profit opportunities, a few cosmetic enhancements and a few "must haves" for the gas station and "C-Store" industry. Well, our wizard of 3-D Animation, Sterling, was at it again and did us up a really nice walk through of a construction site pointing out some necessities, some ideas for a little safety or maybe even a revenue stream for ya! Top of mind awareness is always important but then again, having a giant banner at a project explaining what's going on....well, that can save you a whole lot of man hours explaining to passers by and of course, you can use some of our products to make sure your site is safe and secure. Let's take a stroll through United Construction! As you can see, there are a multitude of ways we can outfit your construction site and help with not only the aesthetics, but the over all safety of the project as well as take care of the curiosity of those around the site. 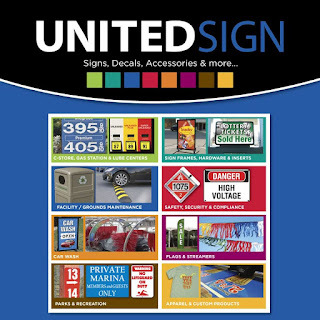 Click on our link below to be connected with United Sign, or give us a call at 1-800-821-6530 and we'll be happy to assist you in making sure your project reflects your brand, your quality and your commitment to the needs of your client!